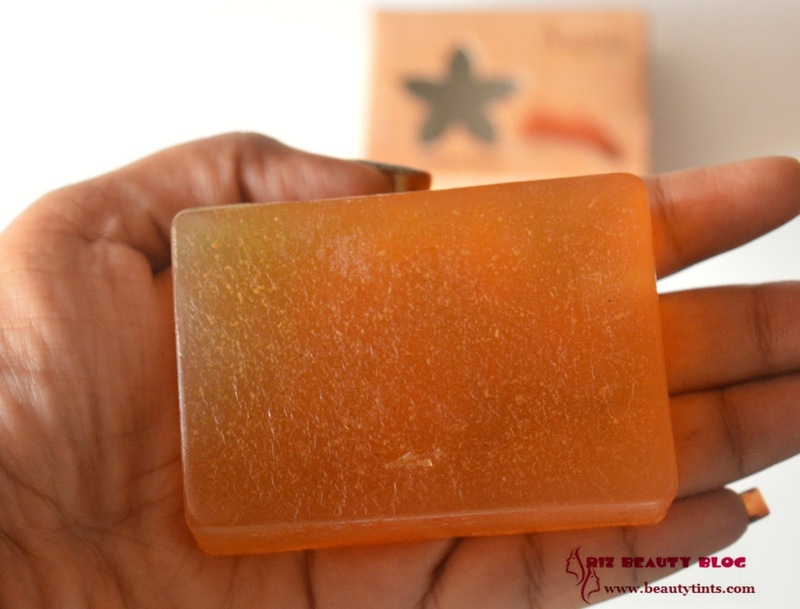 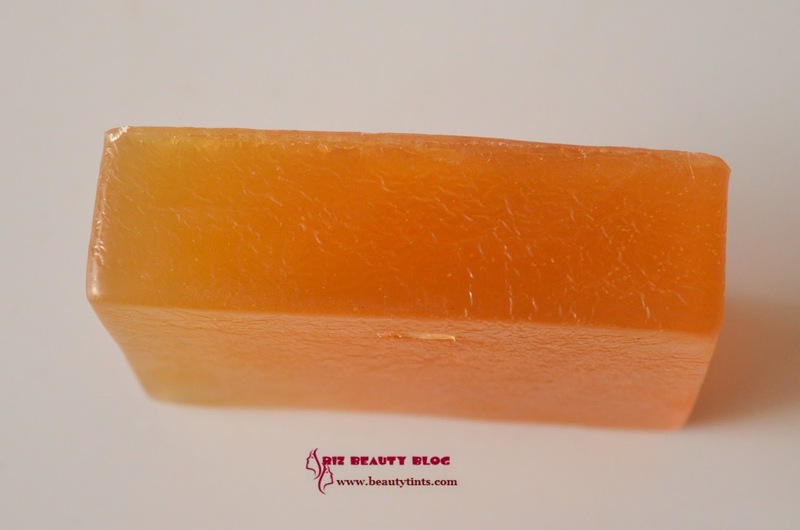 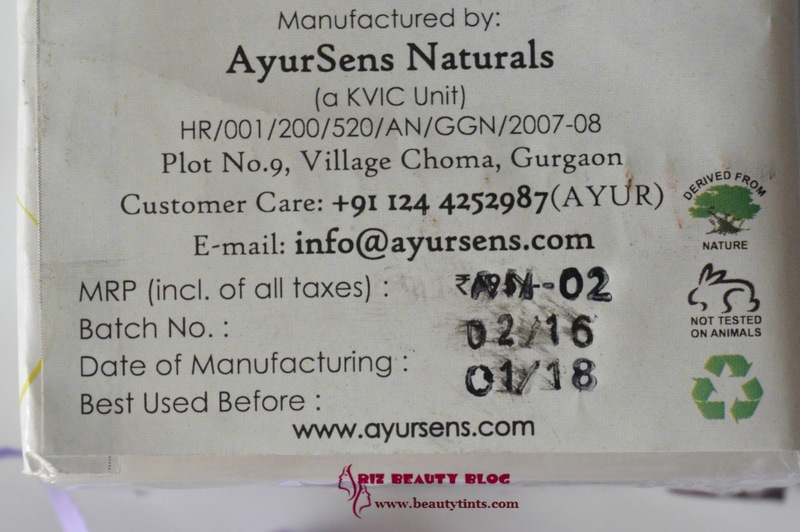 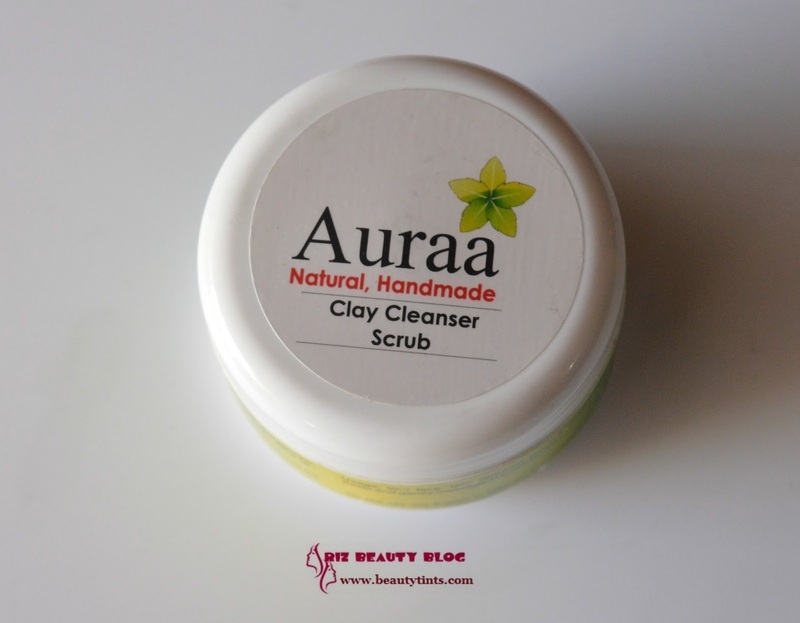 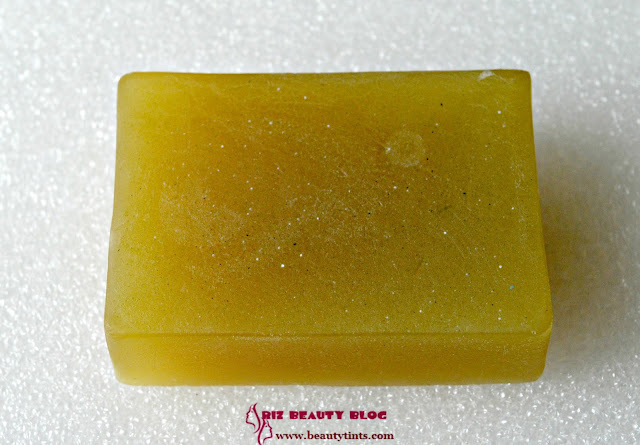 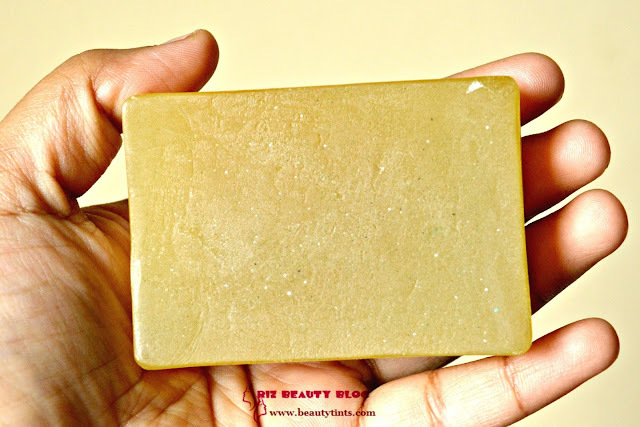 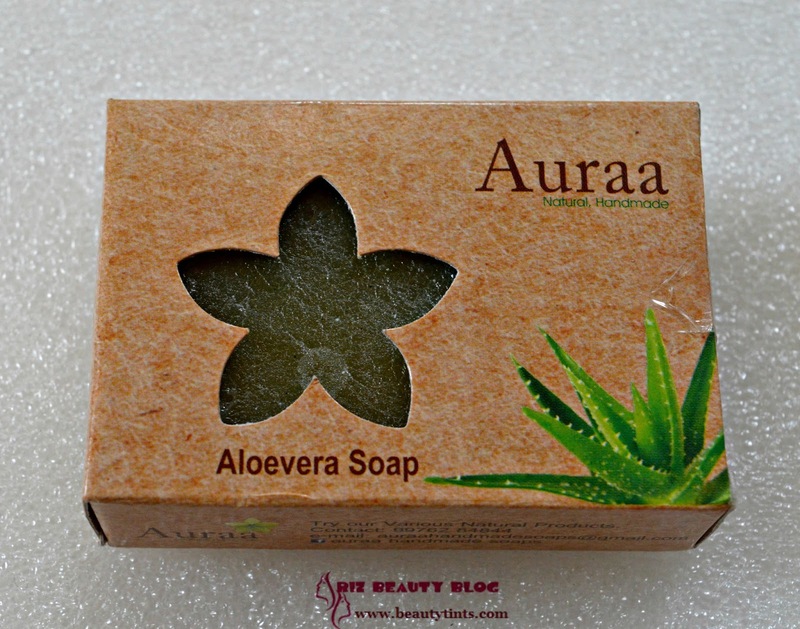 Sriz Beauty Blog: Auraa Natural Handmade Aloevera Soap Review!!! 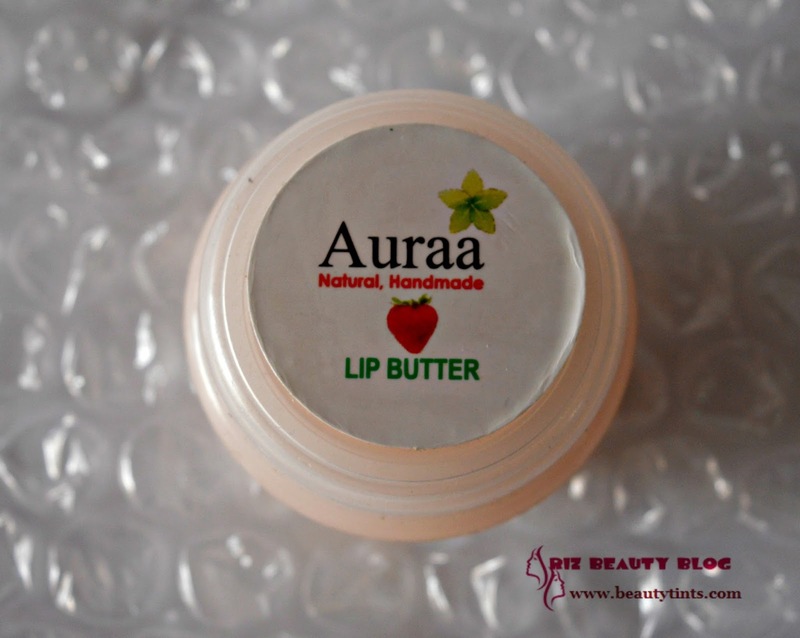 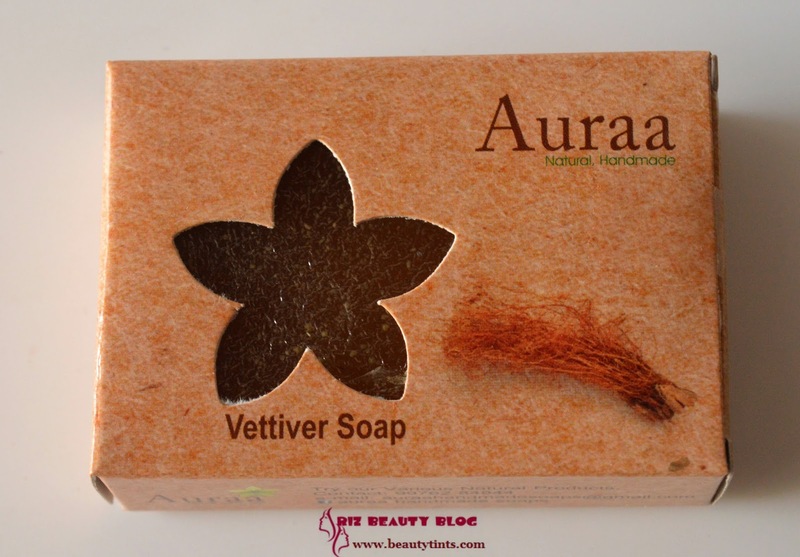 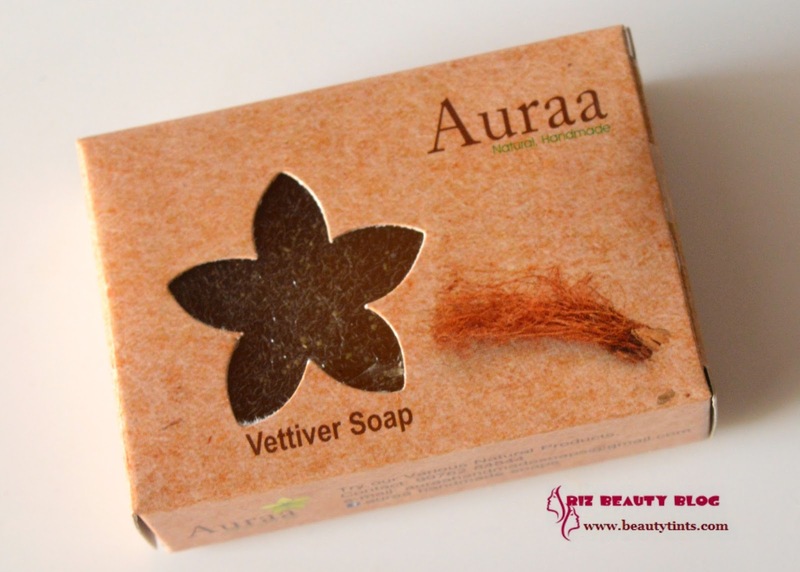 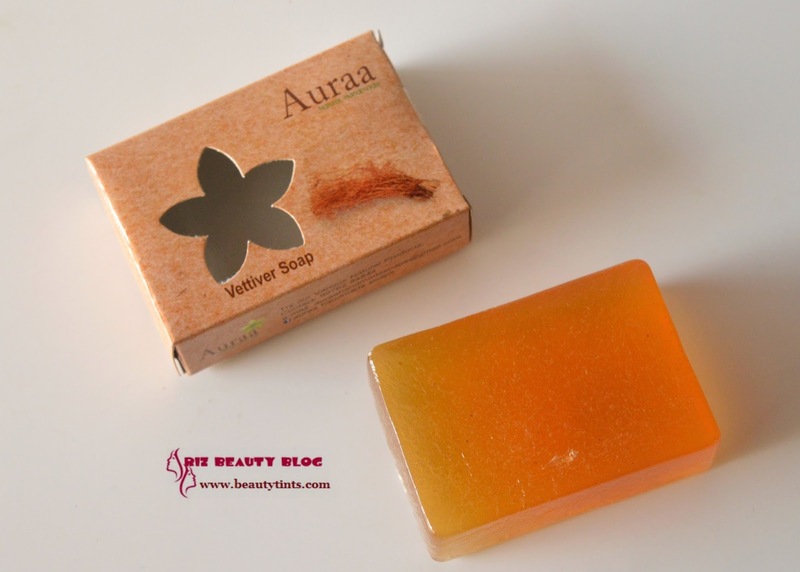 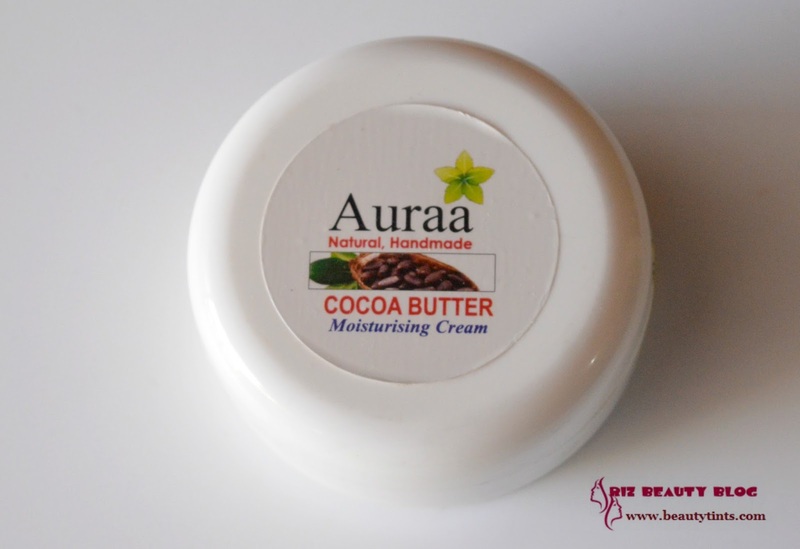 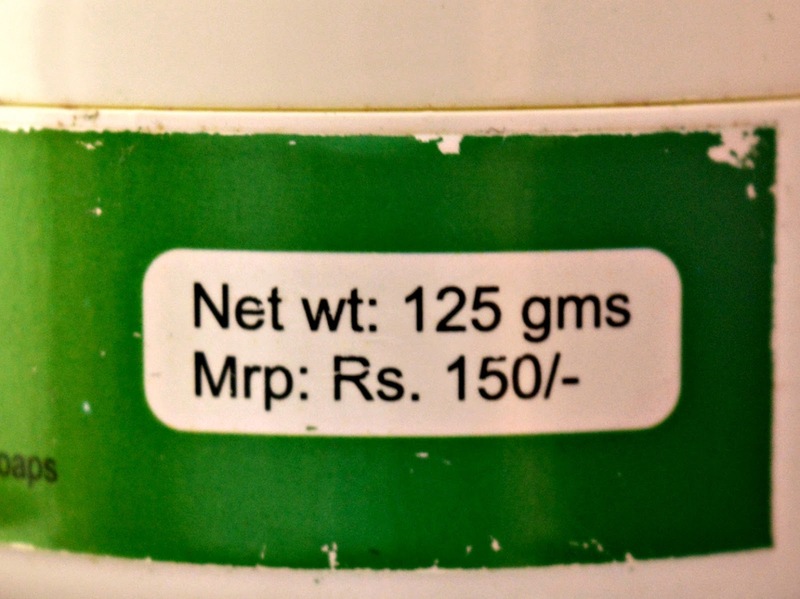 Some time back I have reviewed the Auraa Natural products like Vettiver Soap, Coconut Shampoo, Lip Balm,Clay Cleanser,Cocoa butter etc., and today I am reviewing one more product which is their Aloevera Soap! 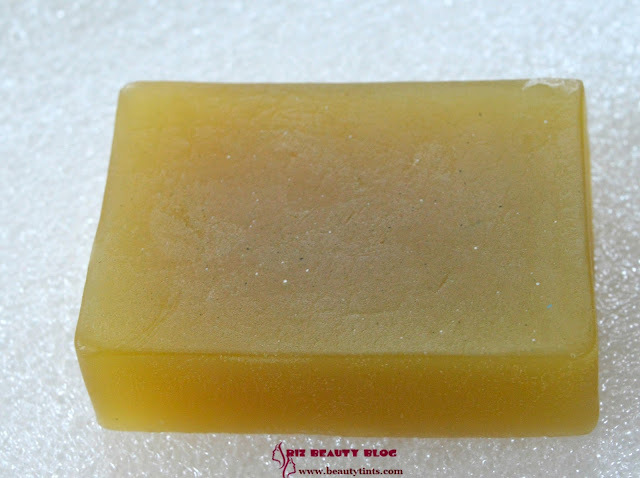 Color and Texture : This is a pale green colored soft textured soap. Ingredients : Saponified coconut oil, palm oil,glycerine, propylene glycol,sucrose,aqua,Aloe vera, green clay,Mint essential oil. 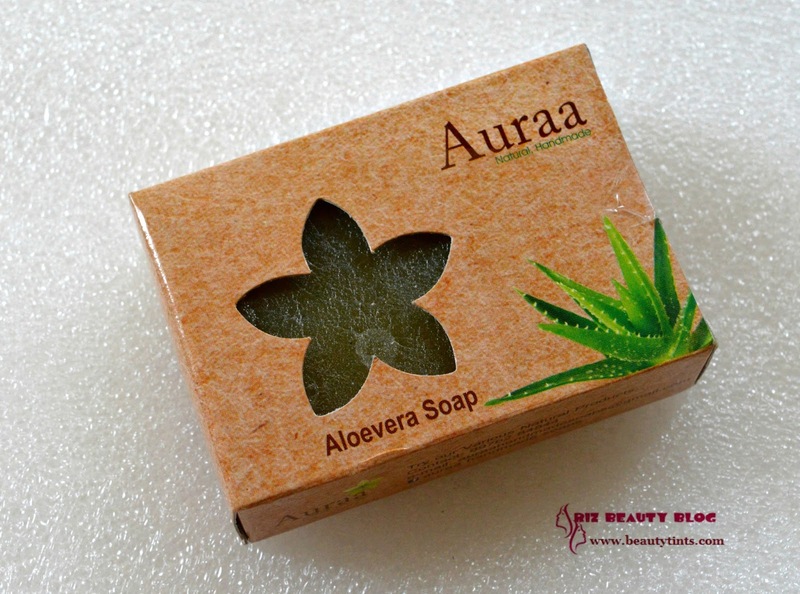 My View On the Product : This Auraa Natural Handmade Aloevera soap comes in a simple cardboard packaging and the soap is wrapped in a plastic film.The soap is in pale green color and has a soft texture.The soap has a very refreshing mint fragrance.The soap lathers moderately and gets rinsed off easily.It cleanses the skin thoroughly and gives a clean and refreshed feel to the skin.It is very gentle on the skin.It doesn't dry out the skin.It is enriched with the goodness of Aloe vera, green clay,mint essential oil along with glycerin.It is free from harmful chemicals and preservatives.As it contains aloe vera,it helps in keeping the infections and itching at bay.As it is a glycerin based soap,it slips easily from hand,so we need to hold it tightly.It doesn't melt easily and stays longer.It is priced very reasonably and the only con is its availability! 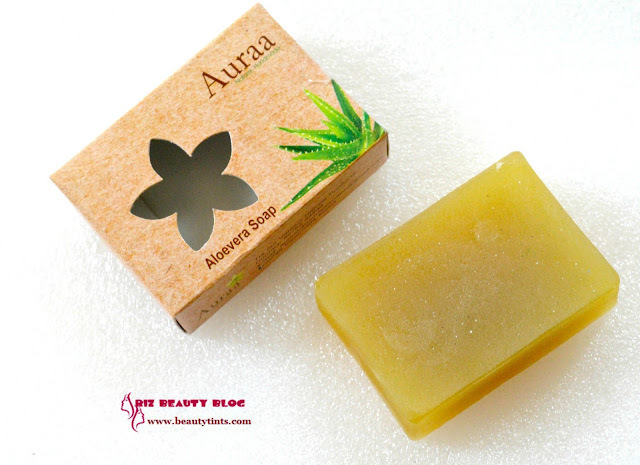 Final Conclusion about Auraa Natural Handmade Aloevera Soap : This is a good soothing & refreshing handmade soap with the goodness of Aloevera,green clay and mint essential oil!